As we hit mid-week of Week 6, we were blessed with a beautiful day at camp today. Campers returned from their overnights and we had a hardy brunch in the dining hall. Pastor Fitch led us in GROW Time after lunch and we learned that there is more to the story of Jonah than just the big whale. Our afternoon was filled with electives, including canoeing, sand volleyball, pool, crafts, Camel News Patrol, and dancing. This evening after supper, our cabin groups will spend time playing games and will worship under of theme of forgiveness and the story of Jonah today. We look forward to a beautiful night as we continue to grow in our faith, make friends, and experience all that camp has to offer. 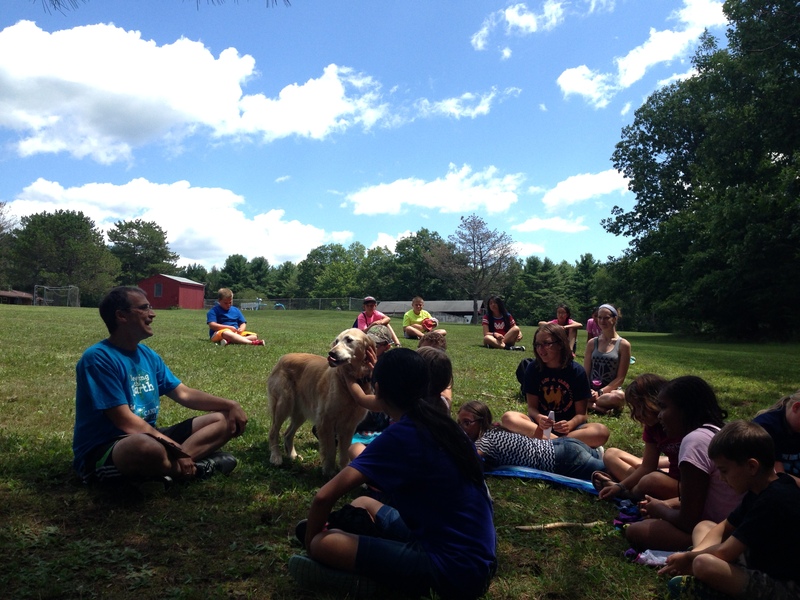 Campers listen to Pastor Fitch during GROW Time.